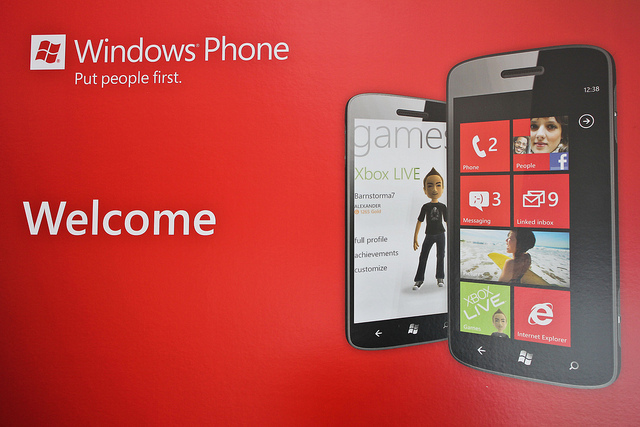 Windows phone was first launched in October 2010. It was developed by Microsoft as a replacement successor to Windows Mobile. Starting with Windows phone 7, now the latest public release in the field of the mobile operating system is Windows Phone 8.1 on April 14, 2014. In addition to this, Microsoft is also harping how Lumia 950 and Lumia 950 XL are perfect productivity devices for the users. While we are yet to try out these claims by Microsoft, we have compiled a list of awesome hidden features in the Windows 10 smartphones that you might not be aware of. One of the biggest problems with today’s smartphones is their sheer size, which makes it almost impossible to use them with one hand. If you are using Lumia 950/950XL, you might also face the ergonomic issues with the smartphones. For this, Windows 10 integrates ‘Reachability’ to help users with the one-handed usage of the device. You just need to hold down the Windows button for a second, which will bring down the display in the reach of your thumb. If you want to exit from the feature, just tap on the black screen. Windows Hello feature is the Microsoft’s answer to the fingerprint sensors on Android and Apple smartphones. The feature works by scanning your face, iris, or fingerprint to unlock devices, thus replacing a PIN or password. Tap Get started then hold your smartphone in front of your eyes and tap Next. The front camera will scan your eyes to complete the process. Go to Settings > Accounts > Kid’s Corner and then select the data that you would like to grant access to your child. Swiping right on the lock-screen will give you the Kids corner. The Wifi sense is a new straight and simple feature in the settings menu introduced in this version of the OS. It essentially allows users to connect to Wi-Fi networks automatically, and exchange their Wi-Fi credentials with friends on Outlook, Skype & Facebook securely. Another ‘sense’ feature added to Windows 8.1 is the storage sense, and it helps users to manage data both on the internal and external storage. Users can move apps, music, videos, images etc between the two storages. With Windows 8.1 comes a Skype app integrated into the usual dialer app, allowing the user to shift his regular voice call to a Skype video call with the click of a button. Moreover, Cortana, the new voice based assistant on the 8.1 OS, can be used to setup Skype calls.